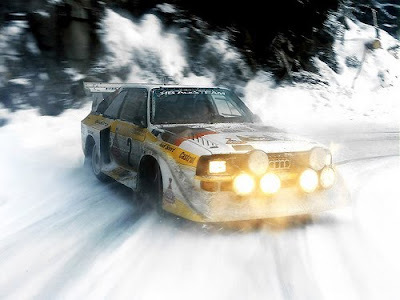 Any Audi fan worth his or her salt gets a little weak in the knees when watching legendary Walter Rohrl push the Audi Sport Quattro to it's limits in vintage rally footage. So we were especially enthusiastic when a reader sent us this video link documenting some of the Audi Sport Quattro's finest footage, remastered with new color and sound. My favorite part of the video is watching Walter Rohrl drive all-out through the masses of fans. Rally driving is an art in itself, but being able to perform such precise power slides without taking out hundreds of onlookers is just breathtaking.